Description: Overton-105 has 3 in the date leaning slightly right, unlike every other die-marriage for 1835. 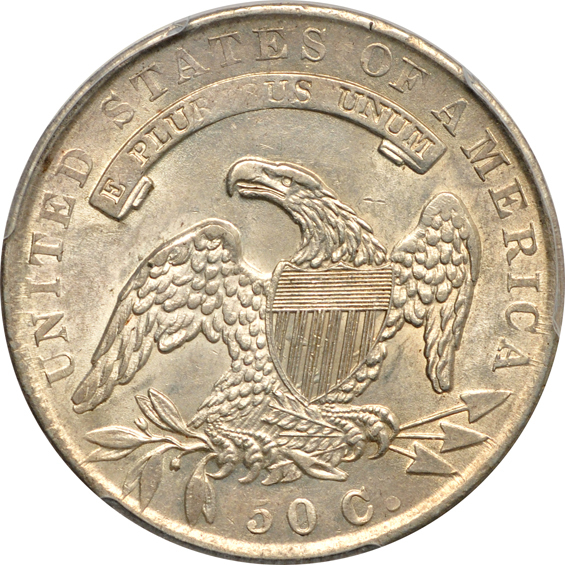 RIB on the reverse ribbon almost always shows minimal detail for O-105, although luckily, detail most everywhere else on the reverse seems to be nicely rendered. 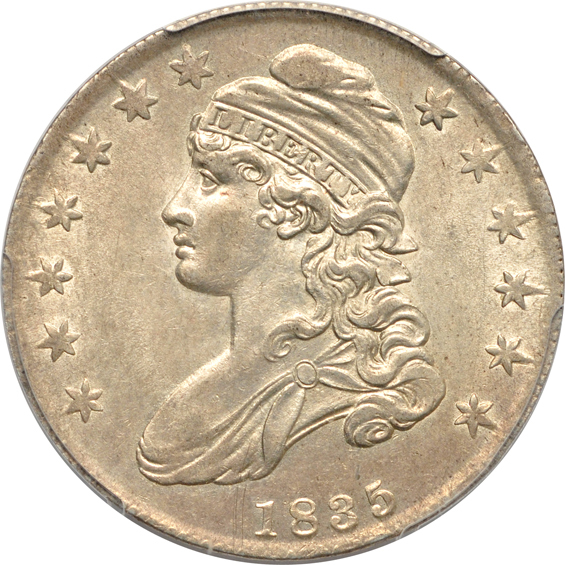 Obverse stars seem to be a bit unevenly detailed. Glistening aluminum-white illuminates great luster on both sides.